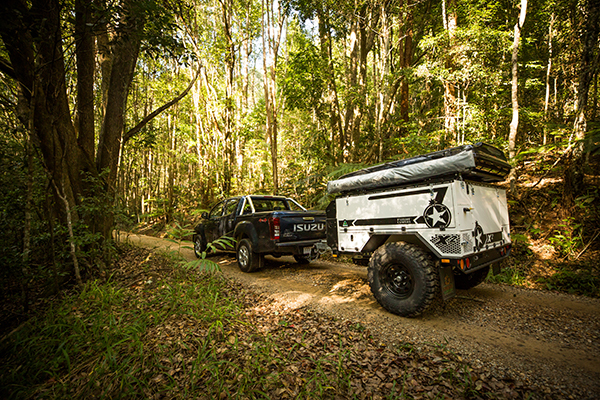 The X2 has evolved from Patriot’s original and best selling camper trailer, the X1. But rather than getting bigger and bolder like most things that evolve, the X2 has gone the other way and become smaller and more discreet. Reverse evolution, if you will, but the move is far from backward. While both the X2 and X1 have a clear family resemblance: both have a rooftop tent, solid offroad trailer and great functionality, the X2 is its customisable format, in which you only pay for the things you really need. The Rhino-Rack rooftop accessories platform plays host to your choice of tent, be it a sleek James Baroud pop-up hard shell tent with a 10 second setup time, a more traditional folding TJM roof topper or a family-friendly integrated tent complete with change room / kiddies’ quarters. Best of all the tent can be removed altogether for day trips. The X2 has a rear slide-out kitchen drawer with space for a 50L fridge (BYO fridge or tick the options box to have a Waeco fitted), a pantry cabinet, cutlery drawer and space-saving silicone pop-out sink fed by a 70L water tank and pressurised water pump. There’s also storage aplenty on the little X2, which boasts an impressive 1600L of useable space for your gear. The X2 displays the same rock solid, all-Aussie construction as its big brother, not to mention an unrelenting spirit of offroad adventure. It has also earned its place alongside its big brother in the most remote, hard to access corners of Australia. True to its family lineage, the X2 is a beautifully finished, superbly engineered camper trailer conceived by an industry-leading brand who dare to do things just a little bit differently. 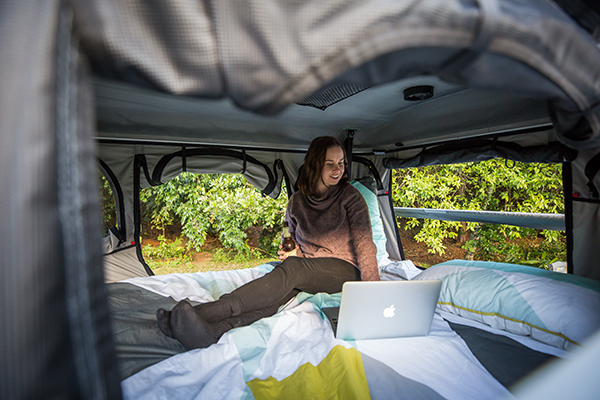 The Patriot Campers X2 is priced at $32,980 (starting from $24,990).